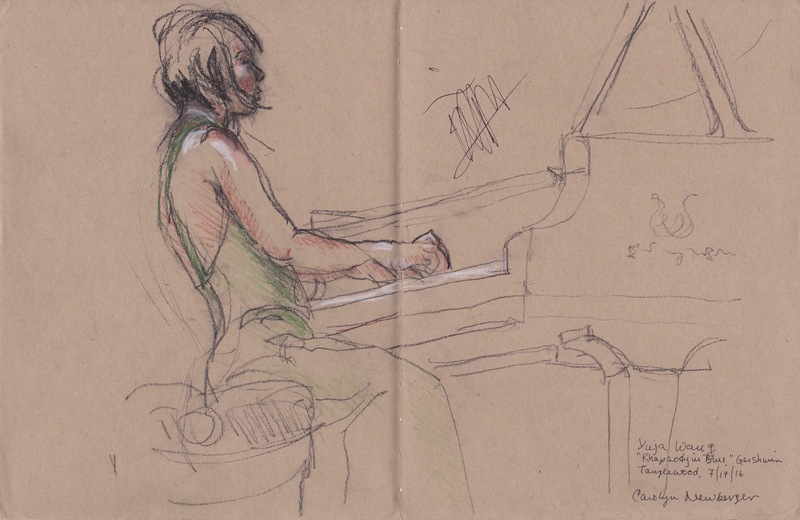 Drawn in concert at Tanglewood with the Boston Symphony Orchestra. Signed by Ms. Wang. Graphite and pastel on toned paper.